So last night I received my Falling Star from Miniature’s Market, I saw it on the Drop and bought in early. 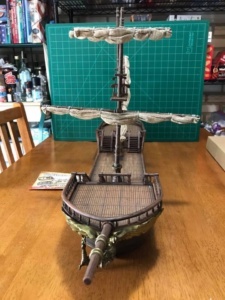 I’m a sucker for tallships stuff. 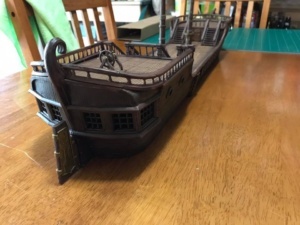 Ship comes with ship’s wheel, two magnetic masts, four sails. 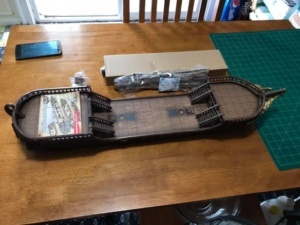 Both the Quarterdeck and Forecastle deck are removable to see into the Great cabine and Forecastle. 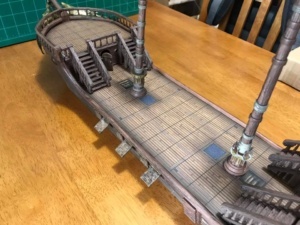 The decks themselves reversible for are gridded and ungridded for miniatures play or simply display. The main deck is not reversible. View of the Bow, Bowsprit and Firecaste with the deck removed. 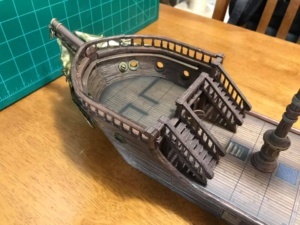 View of the Stern, Wheel, Rudder, and Captain’s Cabin with the Quarterdeck removed. 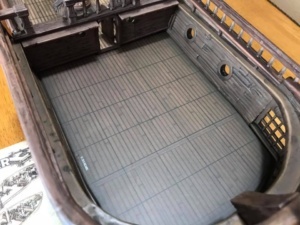 This is a view showing the cabin doors open and the side ports for oars to slide out in calm winds. 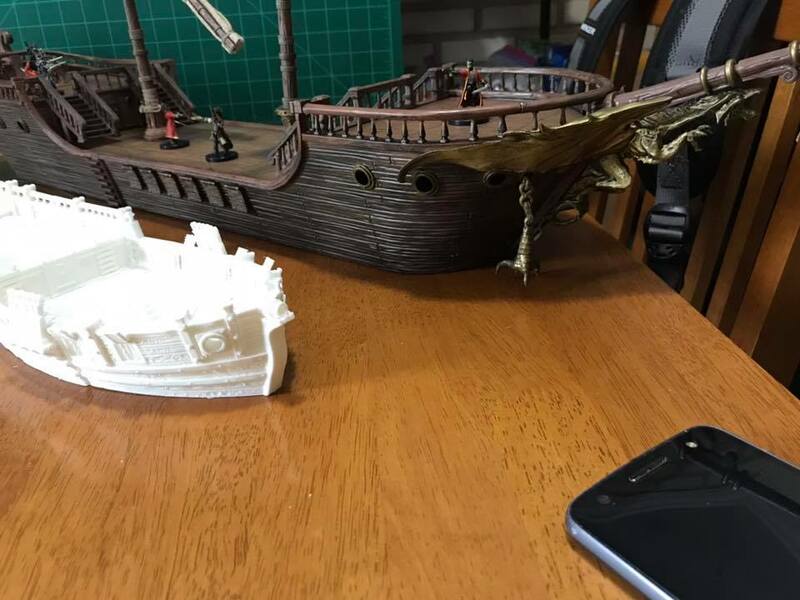 This is the Falling Star alongside the Sloop a 3D printed model from Printable Scenery. 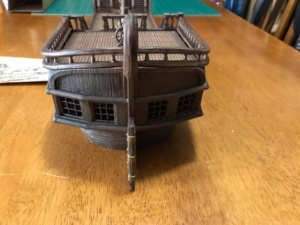 Obviously the Sloop would look better cleaned up, glued and painted, but you can tell some of the detail is comparable. The effort involved in cleaning and painting is similar to any miniature only differing in scale. 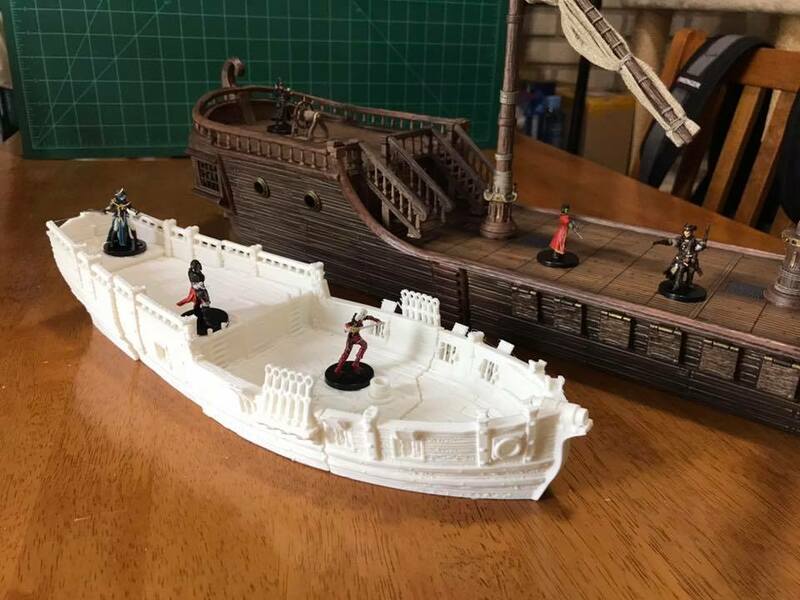 Comparing the Sloop\s Bow to the Falling Star, when I 3D print anything with a railing there are always string that need to be trimmed. 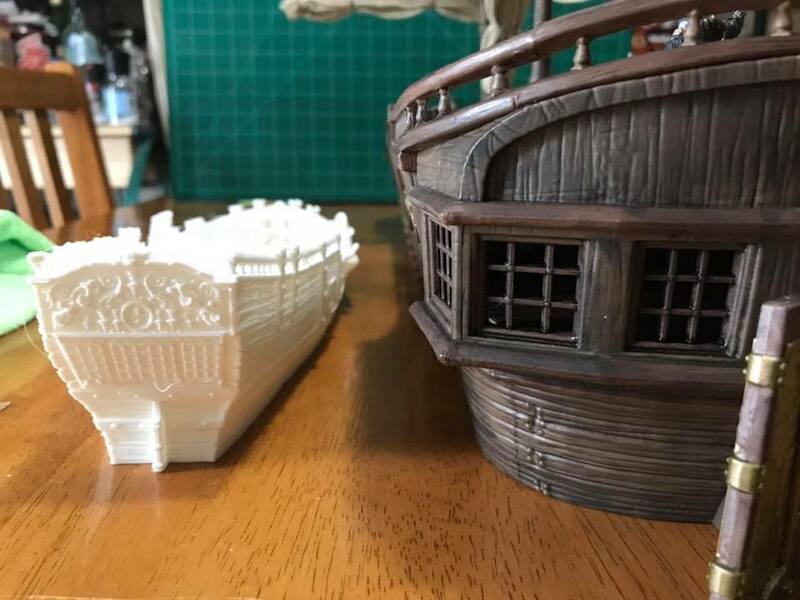 Comparing the Sterns of the Sloop vs the Falling Star and again you see strings on the Sloop that need cleaning before painting. 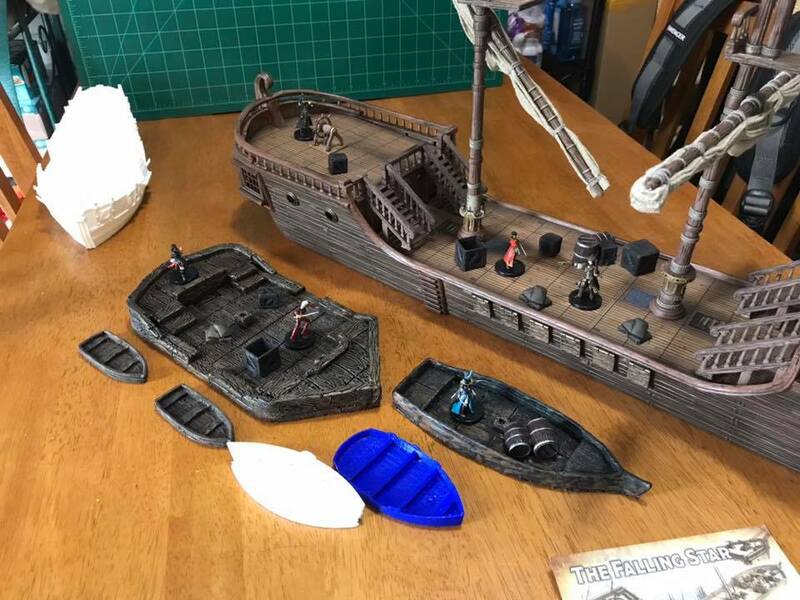 So for me the 3D printed stuff is the biggest challenger if you have a 3D printer and you’re a miniatures painter, then you can get a lot of bang for your buck buying 3D models from places like Printable Scenery, printing and painting the ships. 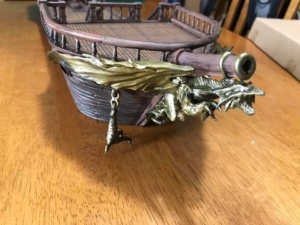 If you have the money get the Falling Star or one of Jolly’s hand painted resin ships.